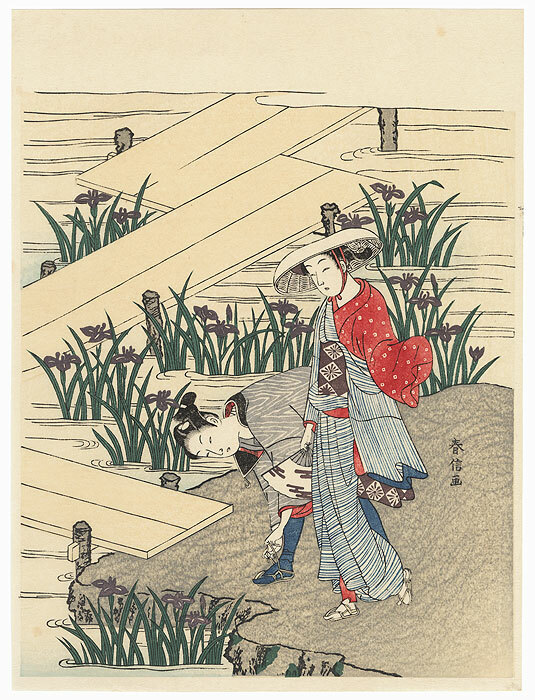 Comments - Attractive summer design of a young couple strolling through an iris garden. 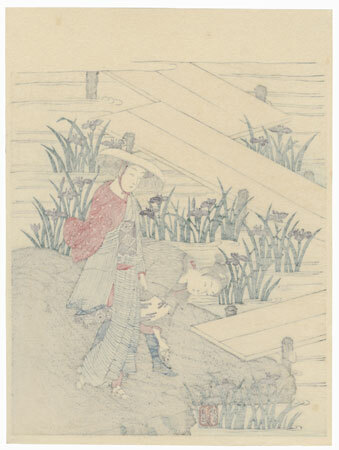 The young samurai bends down to tie his sandal as they pause beside a pond with a wooden walkway leading out over the water, irises blooming along the shore. 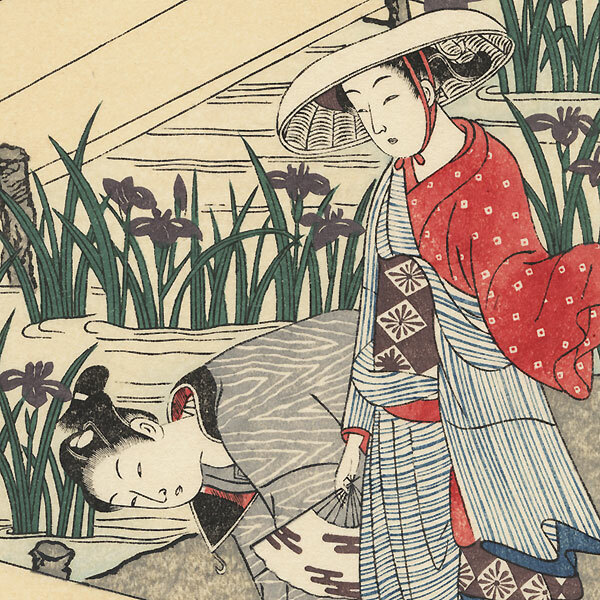 A charming Harunobu scene with soft color. Condition - This print with excellent detail as shown. A couple spots. Please see photos for details. Good overall.